The Krieghoff Options for the K-80 and K-20 are very similar. They allow customers to select from a wide range of different engraving patterns, wood grades, chokes, hanger and trigger options. 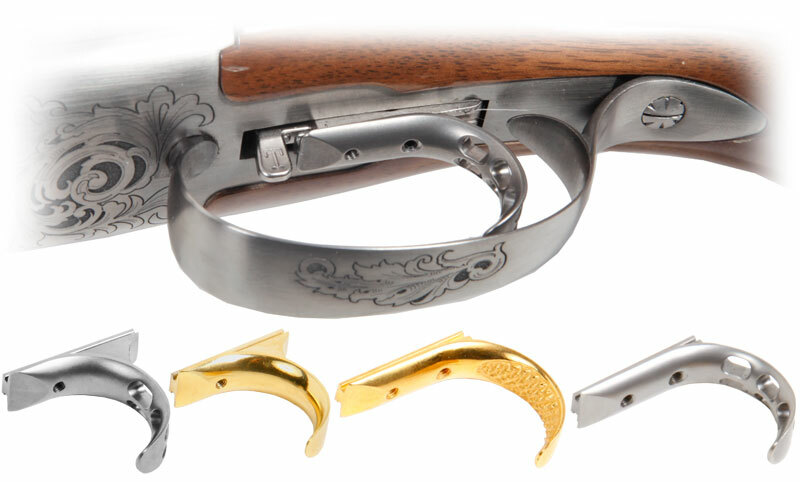 Krieghoff offer a range of barrel configurations depending on the gun set up. Please see the description to see what lengths are available. 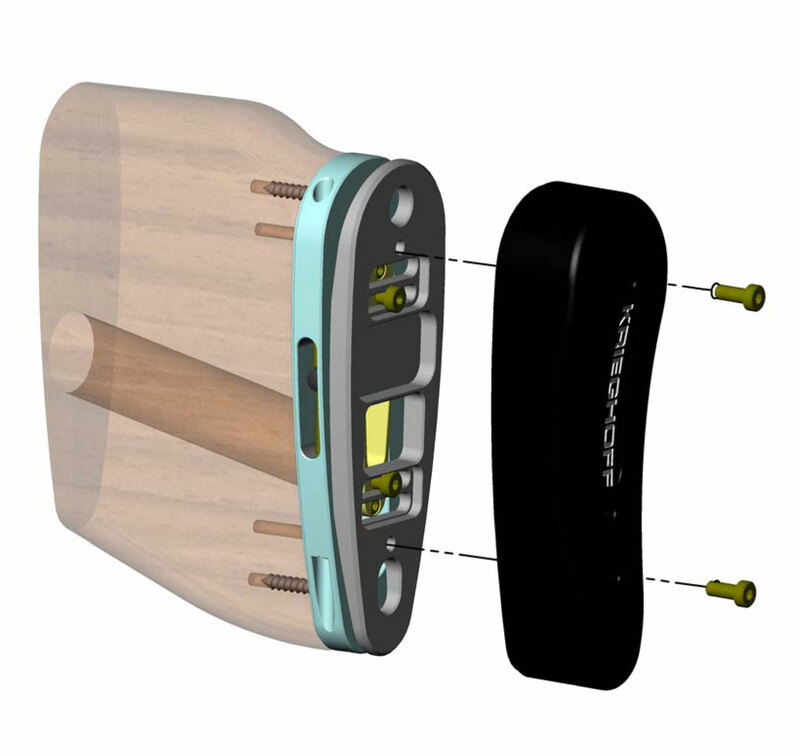 Please note that weight may vary but normally within 5 g.
Older barrel series may differ by a greater amount. The Krieghoff shotguns come with Blued Steel Chokes and Hangers and a Steel Trigger as standard. Keeping the weight down and balancing the weight distribution can be key to a shooter, which can be achieved with Titanium. Super lightweight and extremely strong. Krieghoff offer a range of Trigger Options available when configuring a new gun or as an additional purchase. There are the options of standard position or forward position, with the choice of standard nickel, titanium, gold plated or chequered gold plated finishes. 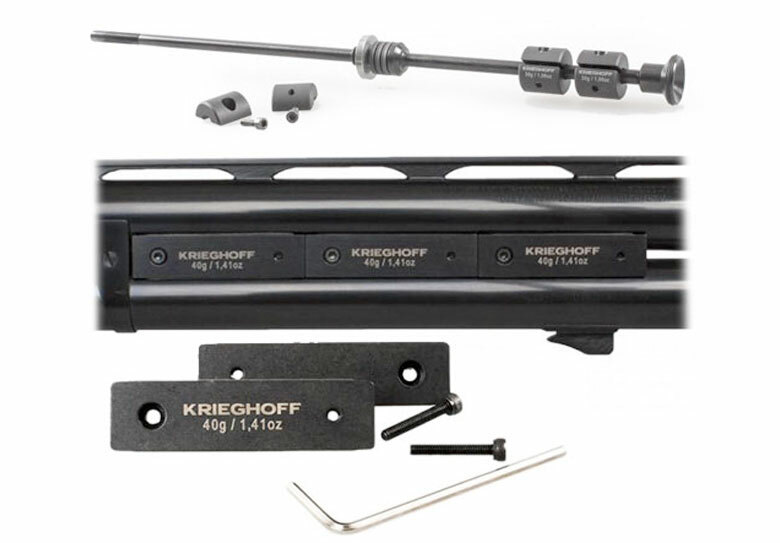 Krieghoff Balance System, now available for all K-80 models. 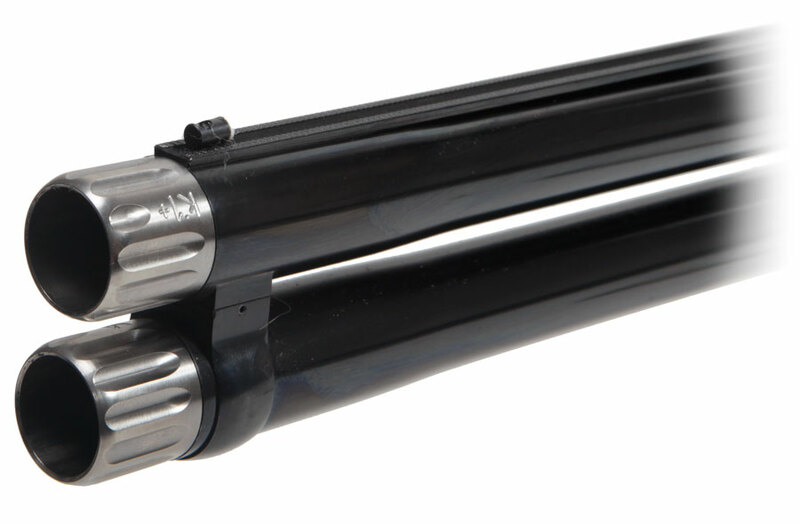 The new balance system, originally developed for the Parcours, is now available to fit all K-80 guns. 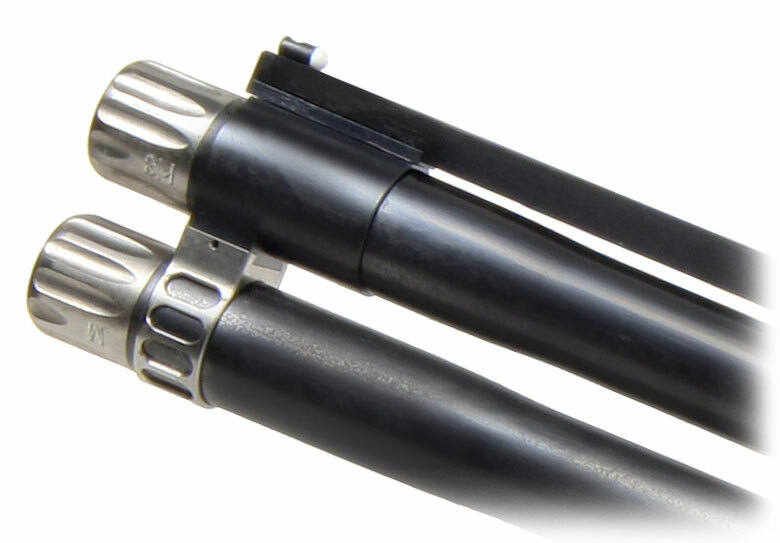 The system comprises two components, available individually or as a complete package. 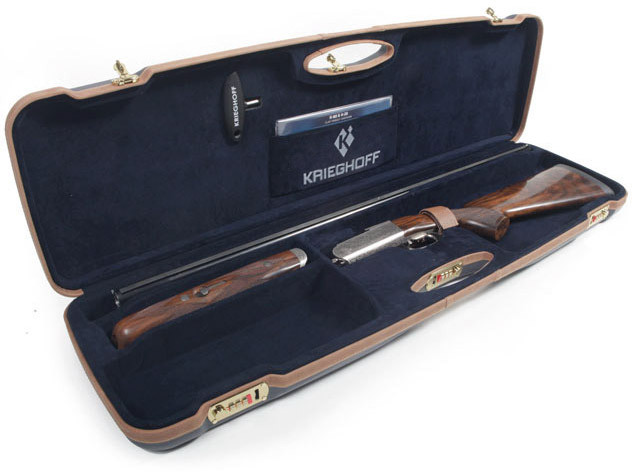 The Krieghoff Premium Case features a strong shell design to protect the contents with various compartments to transport the gun broken down into Action & Stock, Barrels, and Forearm. There is also space for accessories and tools. This is a beautifully hand made leather case, custom fitted for the K-80 Parcours, using the exact dimensions for a perfect fit. 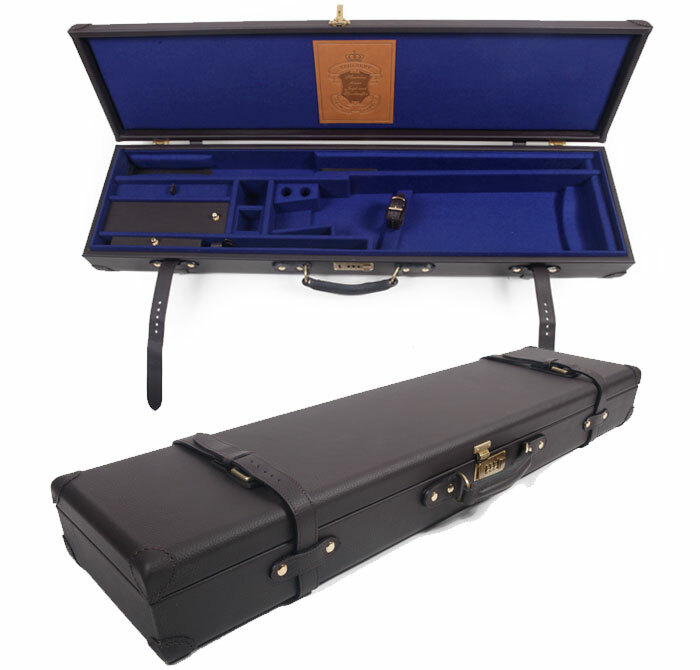 The case has a full coverage leather outer with leather and brass detailing throughout. A genuinely high quality case to equal a high quality gun. The case provides more than enough protection for the gun inside. The little possibility of movement of the components inside means that the contents is kept in a perfectly safe condition. Some of the options for the K-80 vary with the K-20. If there are any questions to find out if any options are available for the K-20, please contact us to see availability.